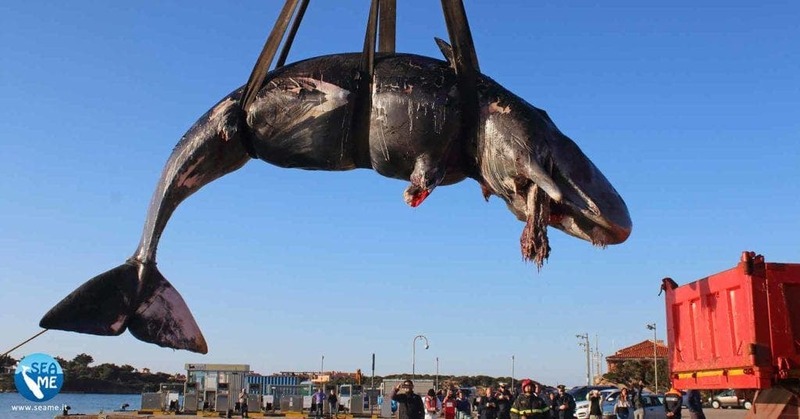 This is the one in a row whale killed by plastic pollution in the world ocean. Last month, a massive 1,100-pound 15-feet-long whale washed up on the beach in the Philippines. 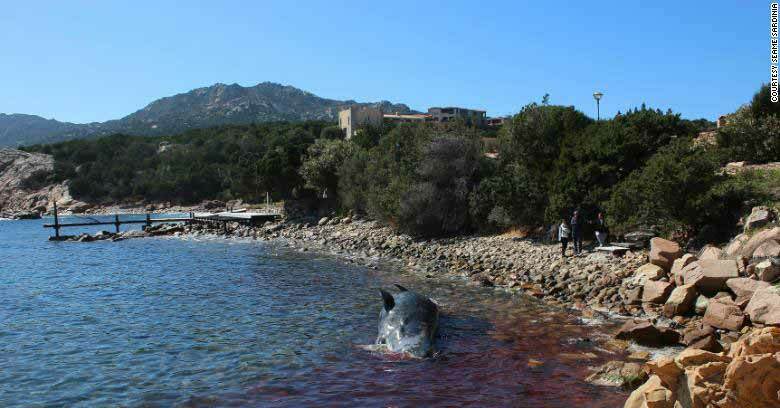 Тhe dead body of a pregnant sperm whale washed up in the Sardinian resort of Porto Cervo in Italy, last week with a total of 22 kilograms (49 pounds) of plastic in its belly, WWF reported on April 1st. The fetus, over two meters long, was also dead. This is the second plastic-related whale death in less than a month. On March 18th, a whale was discovered on the beach in the town of Mabini in the Philippines with 88 pounds (40 kg) of plastic waste inside its stomach. According to New York Times, the gruesome menagerie discovered inside the pregnant female’s belly included a bunch of disposable dishes, a corrugated tube, hundreds of shopping bags and even a detergent package, whose bar code could still be read. Samples of the dead mammal have been taken to a laboratory in Padua, where vet experts are to examine them in an attempt to establish the exact cause of death. Sergio Costa, Italy’s environment minister, took to Facebook to raise further awareness of the looming plastic apocalypse: “Are there still people who say these are not important problems? For me they are, and they are priorities,” he wrote as quoted by CNN. Regarding the plastic pollution of the world ocean, Europe is currently part of the problem, rather than its solution. The 28-member EU is the second-largest producer of plastics in the world. A WWF report on plastic disposal in the ocean that was published in June 2018, Europeans dump between 150,000-500,000 tons of macroplastics and 70,000-130,000 tons of microplastics in the sea every year. Under a provision of the European Parliament, a wide array of single-use plastic items will be banned in Europe from 2021, including straws, cotton buds, and cutlery. “Italy will be one of the first countries to implement it. The war on disposable plastic has begun. And we won’t stop here,” Mr. Costa promised. Plastic is choking our ocean and soon there will be more plastic in it than fish! If you want to take some anti-plastic action now, sign the WWF plastic petition here! It has so far been signed by over 378,000 people from around the world.